Sara Evans is the Employee of the Month for April 2019. Mrs. Evans is a 6th grade Math Teacher at Canton Junior High School. She attended Mineola High School in Mineola, Texas and received her college degree from the University of Texas in Tyler, Texas. Mrs. Evans is married to Doug Evans and has two sons Carter and Lane. A hobby that she enjoys is spending time with family. 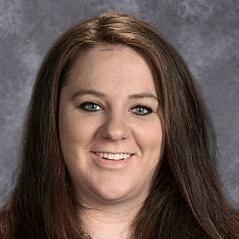 Mrs. Evan has been employed with Canton ISD for 3 years and what she enjoys most about her job is watching her students start 6th grade as little kids coming over from the Intermediate School and turning into more independent and responsible young adults by the time they leave the JH campus. She also thinks her coworkers are pretty amazing as well. Mr. Rhoten, Canton Junior High Principal, adds that Mrs. Evans is always willing to go above and beyond for her students and our staff. She is a passionate educator with an incredible knack for working with kids.